Posted on October 14, 2016 by Billy S.
One of the many features that makes Formsite popular and powerful is the Calculations item. This item lets form builders perform basic mathematical equations on form answers, then uses the equation result later in the form. 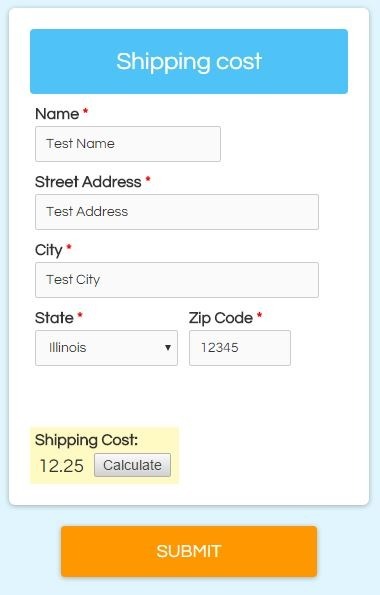 Our Order Form items make building order forms simple and the Calculations item isn’t needed in those cases. If the simple order form items aren’t enough, however, the Calculations item lets you specify a custom equation. The basic use is to first add your items to calculate, then add the Calculation item where you want it to appear. 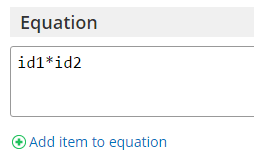 It will ask you for the equation when you add the item, so you can use the Add item to equation link to see all of your qualifying items. 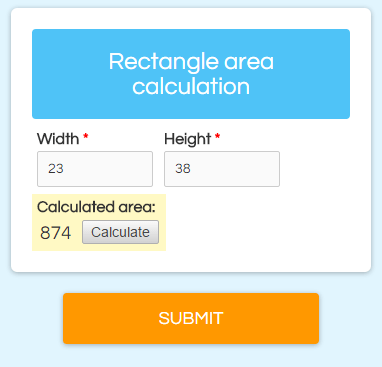 An easy place to start is to make a calculator to determine the area of a rectangle. Add a Number item labeled ‘width’. Add a Number item labeled ‘height’. Add a Calculation item labeled ‘Calculated area:’. You can create virtually any calculation as long as the equation uses the basic mathematical operators +-*/. You can group statements using parentheses and insert constants as regular numbers. Note that you can set the Calculation item to show 0 decimal points and provide the ‘%’ suffix to show the percentage as a formatted score. Automatically apply a discount based on the order total. See where we’ve covered this before.